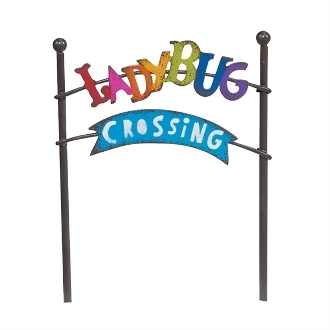 Ladybug Crossing Metal Sign for Gypsy Miniature Fairy Gardens. Full Description: Make way for ladybugs! Use this cute sign to welcome the luck and ladybug to your mini garden. Designed by Genevieve Gail, this metal sign features all-weather paint and hand-painted details.